Every project needs to be planned, managed, and controlled. It is essential for all project action plans to be executed and monitored accordingly so that the entire team can ensure that they are working toward a common goal. This is the reason why most, if not all, project managers are tasked to developed a comprehensive project management plan. 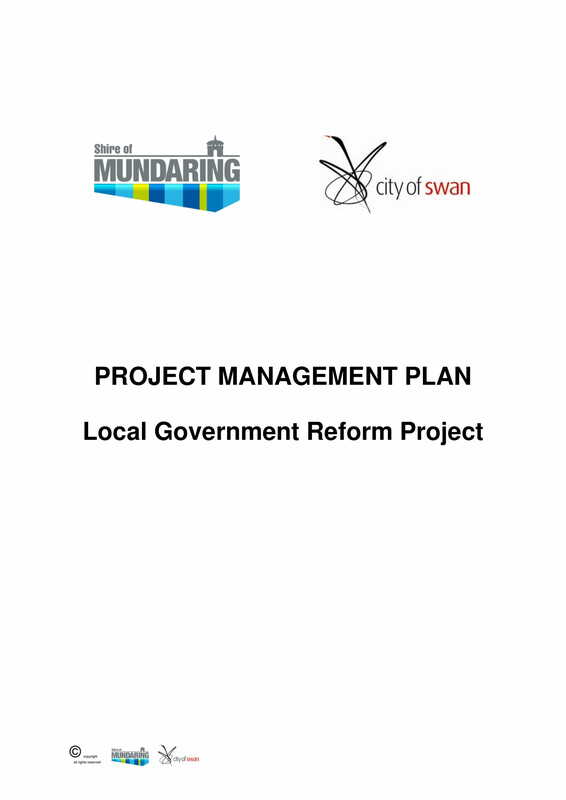 Now, what is a project management plan? 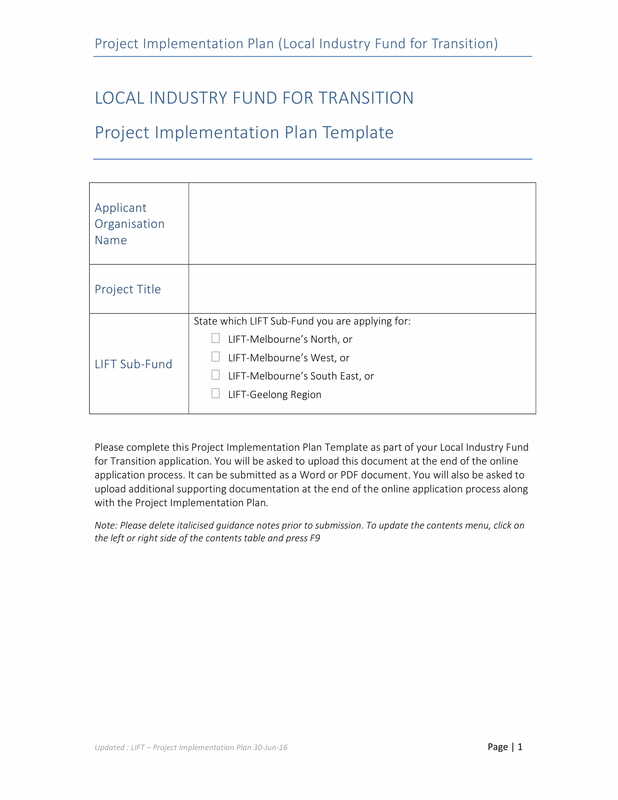 The specified document is used to make sure that the entirety of the project processes are based on the inputs of stakeholders and that all call-to-actions address the demands and requirements of the project scope. 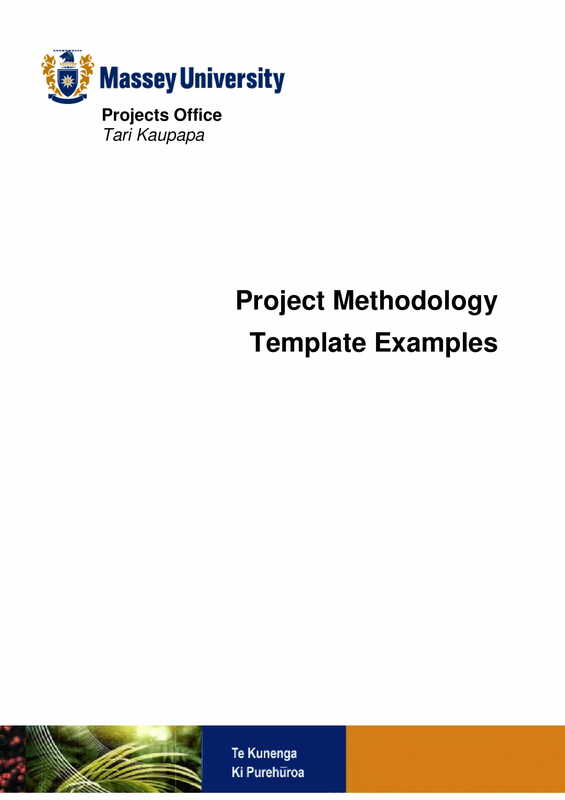 If you want to come up with a formal and business-appropriate project management plan, using references like downloadable examples and templates can help you a lot. 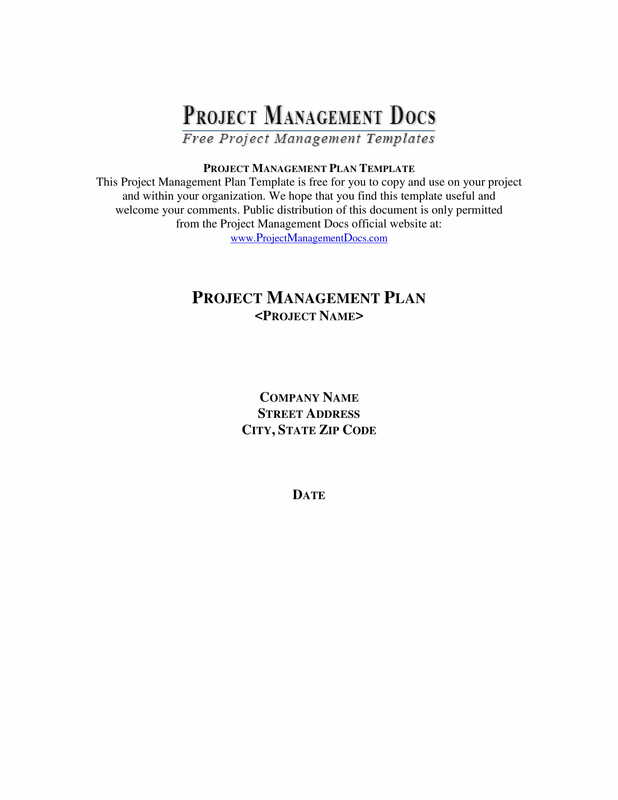 We have listed different kinds of project management plan template examples that you can all download from this post. Select one or more of these examples and use them as your guides whenever you want to start the creation of a specific plan for the purposes of project management. A project management plan is a complex document that consists of different kinds of action plans, baselines, and work processes that are aligned with one another to achieve a common project goal. This is the reason why a project management plan must be developed in an organized manner. Just like a social media plan, it is essential for the work flow and actual project management activities to be clear, understandable, and precise. Listed below are some of the most important information that should be included in a project management plan. Present a baseline for comparison not only on the management of your workforce but also on other elements that can affect the project successes. These elements include the schedule that the project team will follow within the entirety of the project development, the time frames and time-sensitive deadlines that must be looked into when achieving action plans, and the cost that is incorporated in all project procedures and activities. Having baselines will allow you to identify whether you are efficient enough to follow the initial plans for the project and whether you have achieved your goals and objectives. Once you have already finalized your baselines, you need to develop a number of management plans that can focus on the different areas of the project. Set the scope and limitations of the project so that you can ensure that the project team can be aware of the minimum deliverable that are expected from them. You also have to come up with management plans for the project’s human resource and procurement needs, risks and threats preparation, scheduling demands, project quality observation, and communication line availability. 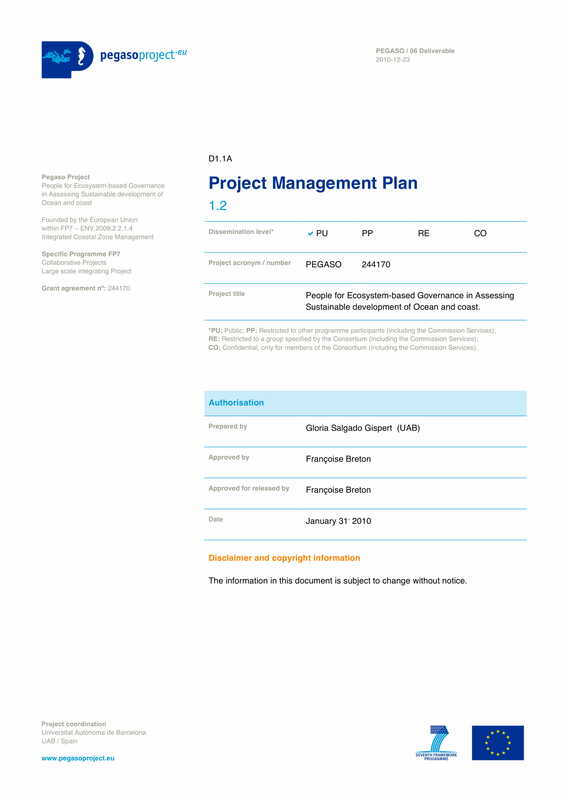 Create a requirement management plan that will help you arrange all the requirements of the project from the planning processes up to its finalization. A requirement management plan is not limited to the legal requirements that the project stakeholders must adhere to. This segment of your project management plan also lists down the raw materials, equipment, and other items that are necessary to be available or at hand within specific time frames or phases during project development. Present a configuration management plan and a change management plan so that you can discuss the action plans and other backups that can be implemented when necessary. You have to guide the entire project team appropriately, which is why you have to strengthen the foundation of your project management plan. Through the specification of configuration management as well as change management, you can be more than ready or at your feet when unforeseen circumstances occur during the actual project plan implementation. Lastly, you can add a process improvement plan that will allow you to identify the gray areas of your project management strategies, tactics, and call-to-actions. Through this, you can come up with activities that can further better the productivity and efficiency of the project team. More so, you can ensure that improvement can be seen if you are immersed in another project in the future. Ensure that you will collaborate with the project team and the key persons who will be involved in the project transactions and processes. You also have to seek for the approval of various stakeholders especially your clients when developing and implementing a project management plan. 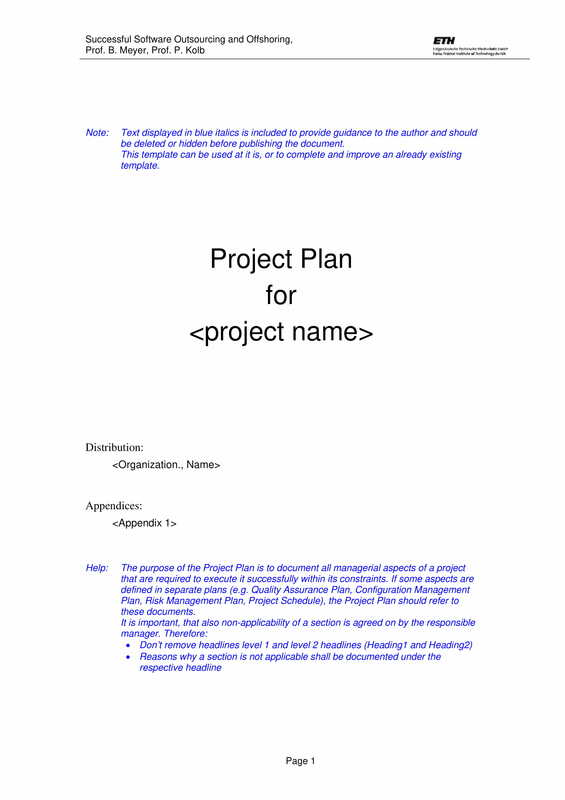 Your project management plan must be detailed. Aside from the management processes and action plans that you want to be realized, you also have to present the metrics for successes that can evaluate the level of your achievement when it comes to delivering the desired project quality and overall output of your clients. Aside from these, your project management plan should also have a list of the minor planning documents and tools that will allow you to implement your course of action. Know how to be strategic and tactical when it comes to the allocation of your resources. Your project management plan is one of those documents that you can use whenever you want to plot the maximum usage of resources so that the entire team and other stakeholders can get the most benefits out of the processes that you will implement. You have to present the baselines in which you will compare the results of the final output of the project. 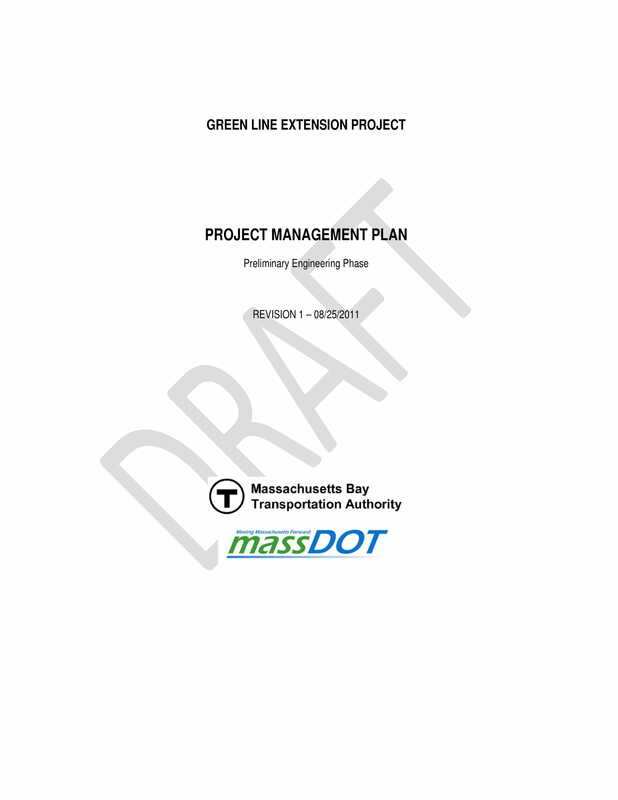 The project management plan mostly relies on the baselines for cost, schedule, and overall project scope. The reason why these elements are very important is that they will be the basis for any deviation that may happen. Project managers use a project management plan to ensure that they will be aware of any deviations and that they can easily come up with solutions that can help the project team go back to the core of the project so that they will not veer away from delivering expected results. A project management plan will allow you to define and describe the approach that will be followed by the project team when it comes to providing the expected deliverable of different stakeholders. Hence, this document will be used within the entire scope of the project as it can ensure that the project team is well-aware of what is needed to be achieved within different time frames. A project management plan can serve as your reference whenever you need to know the things that you have already achieved and those that are still needed to be done. With the help of a project management plan, you can be more aware of how the timeliness of each project procedure can affect the achievement of particular project milestones. 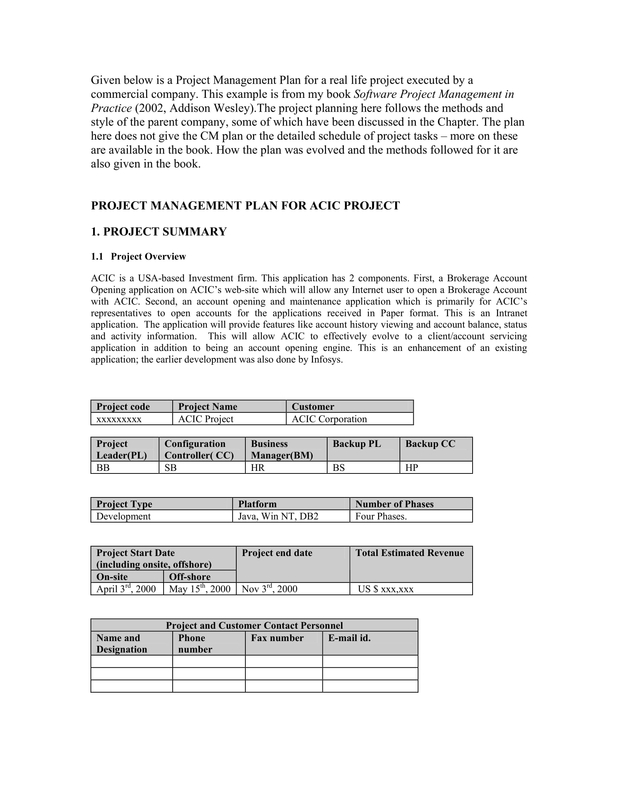 A project management plan presents the project structure. 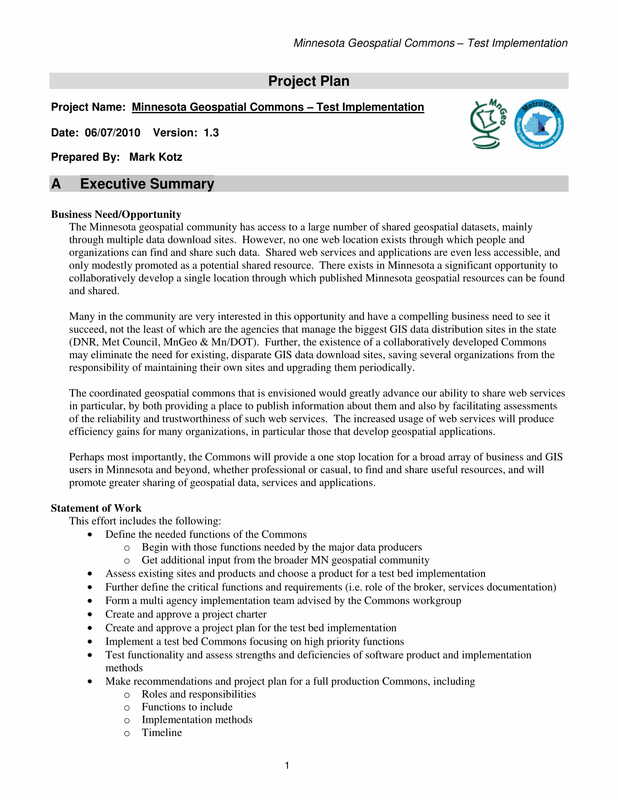 This document can provide the full idea about the flow of communication and decision-making within the entire project execution. More so, it can develop the sense of ownership to all stakeholders which can make them appreciate the importance of their deliverable for the completion of the project. If you will have a project management plan, then it will be easier for you to discuss why particular obligations are given and why there is a need for an open communication to always be present in all project processes. Make sure that you will have a clear definition of your goals and objectives. Your project management plan must be based on what you would like to achieve and the ways on how you can successfully get the items that you have listed. Being aware of the vision of the project can make it more efficient for you to create highly usable and relevant call-to-actions. Meet with the stakeholders of the project. You have to make sure that you are aware of their suggestions, specific requirements, demands, and other inputs. Being able to do this can help you develop a project management plan that is based on the needs of your stakeholders as well as the ability of the team to deliver realistic and measurable results. List down all the deliverable that are expected not only from the project team but also from the other stakeholders of the project. You have to ensure that all the entities that you will work with are aware of the things that they need to bring to the table in a timely manner. This can promote a better and healthier relationship among all your project stakeholders. Develop a project schedule that can present the continuity of project processes. You have to create a timeline that is precise and specific but is also resilient to changes. You have to think of the internal and external factors that can affect the timeliness of all project processes. If you can create a project schedule in this manner, you can be more than prepared to face risks and grab project opportunities. Be prepared for project management reporting. Just like a business management plan that needs to culminate and/or be aligned with a business management report, your project management plan must also have an analysis of the impacts and effects of your project management action plans. This can help you know the things within your project management plan that worked and those that did not. 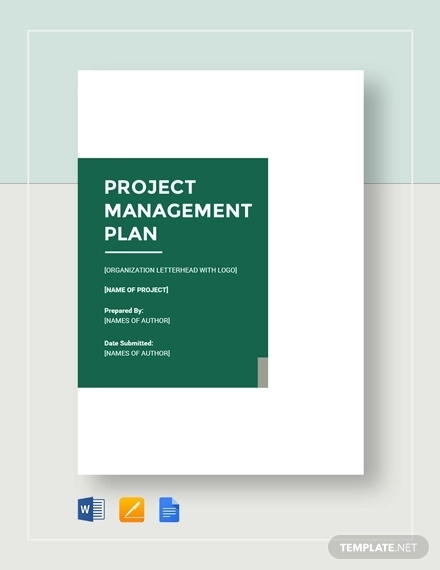 With the downloadable examples and discussions above, we hope that you already have an idea on how you can come up with a comprehensive, detailed, and well-organized project management plan. Use project management plan templates not only for formatting purposes but also whenever you need help in putting together a great discussion flow for your project management planning ideas.